Three ways to lose weight ~ The Reluctant P.O.W. 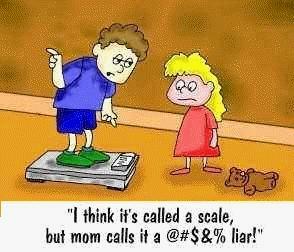 How many times have you tried to lose weight or know someone who did, only to put the weight back on and in some cases even more than they lost? There is an old saying about repeating the same procedure and expecting different results. Repeating what you did that got you overweight will only put you back or worse than you started. You have to make a decision about not only what you eat, but also how you eat. There are three paths to eating from which you must chose. Continue eating in the manner that created the overweight and/or poor health in the first place. Eat foods and amounts of foods that maintain a weight target and your health. 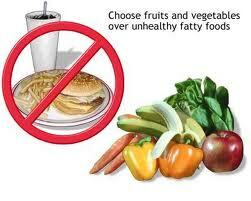 Eat foods and amounts of foods that reduce your weight and/or provide a path to better health. Each is a different focus and requires a different approach and knowledge base. Many if not most weight loss programs/diets focus primarily only on weight loss. Some offer an approach to better health by means of reducing your weight while "eating healthier" but fail to provide you with enough information that effects the change. The real goal is to lose the weight and keep it off while improving your overall health by means of better food/nutrient intake. I use the term intake to focus on the key aspect. If I had said "food" any idiot can understand that a banana is a better choice that a large order of fries, but what you need is the best balance of both the food choice and the nutrients it provides. Many times it is overlooked that the reason you might not be able to lose weight or maintain the weight lost is because your body is starving for nutrients. Vegans are usually short on vitamin B12 and almost everybody north of Atlanta (upper half of all USA) during winter is short vitamin D. Overweight or obese person are a sure bet vitamin D deficient and their bodies are further blocking or cannibalizing many nutrients. 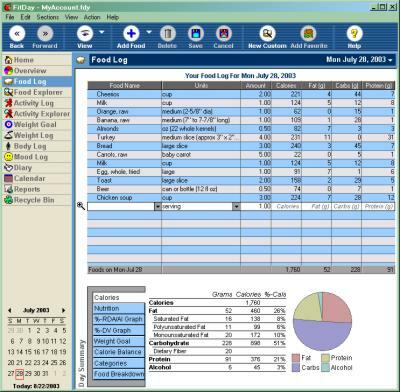 First start with a food logging program such as offered by FitDay.com. Create special foods for any medicene or supplements you take so they can be logged in also. See a doctor and order a Micronutrient test to screen for any vitamin and mineral defiencies you may have. Start logging for at least one week your normal everyday meals. 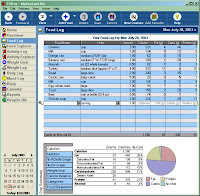 At the end of the week check your weekly averaged numbers against the nutrient tab. Now you have a base line of your calorie and nutrient intakes. Determine your goals and log them in. If your nutrients were below the recommended levels either select food to include or substitute in your new meals or at least take supplements. Now you have a fighting chance at all three goals; losing unwanted weight, maintaining the weight once you get there and better health.